As an ebook reader user, you must shop around when it comes to buying ebooks. There are now many stores selling downloadable books but prices vary, so its definitely good to have a good list of E sources around. Firstly we’ll look at the free ebook sources out there, where you can find a treasure trove of out of print books to download free. The best place for free books is Project Gutenberg – From classics such as the Art Of War, Alice In Wonderland, or Pride And Prejudice – You will be able to find hundreds of thousands of ebooks downloadable in all formats (epub/kindle/pdf/txt). 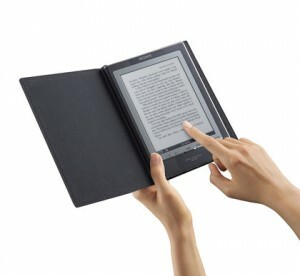 Amazon Kindle Store – If you own a Kindle, or an Ipad this is the best ebook book store to use. Amazon have really competitive prices on ebooks, its just a shame that you can’t download these ebooks in popular formats for other ebook readers. Waterstones – Waterstones have an ebook section on their website (click ebooks), but their catalogue is nowhere near as big as Kobo or Diesel, nor is their purchase process as user friendly. 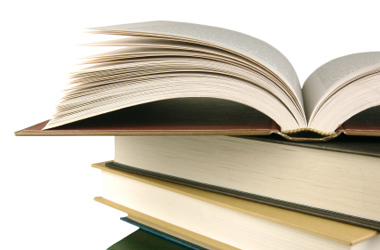 Ebooks.com – This is the reference when it comes to ebook stores. With a large catalogue and competitive prices. 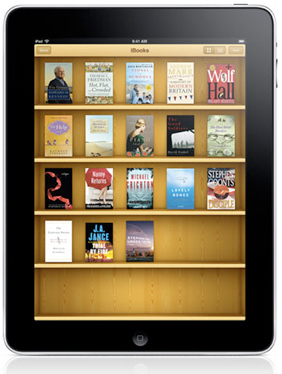 Best places to buy ebooks if you have an Ipad / Iphone? The Apple Ipad and Iphone have access to the Ibook store by default, but as an Ipad user I can never find the best deals on ebooks there. These are usually 10-25% more expensive than on Amazon. Kobo Books– Sign up to Kobo and download their Ipad/Iphone app to buy books direct from the Kobo Book store for some great discounts. Amazon Kindle Store – Amazon have a really nice Ipad/Iphone app which I use daily where you can buy ebooks in one click, and sync all your kindle ebook purchases. This way you get to use your Ipad as an ebook reader, and get some really good discounts on ebooks. To use, just create an account and use this when downloading your ipad/iphone app. Best places to buy audiobooks? Its quite difficult to find downloadable audiobooks, as many are available as cd’s which makes it a pain to use on MP3 players or ipods/iphones. We recommend getting a subscription to Audible which lets you download audiobooks from as little as £4/$6. Click here for the UK free trial offer. Click here for the US free trial offer. We have just added comparison tables for the most popular ebook readers available on the market today in the UK (Most of these are available in the US and Europe too). It can be very difficult to pick the right ebook reader, plus there are many upcoming ebook reader companies releasing press releases monthly about planned launches which we will mostly never get to see on UK shores! So check out the tables, they are a work in progress, and as more ebook readers are made available we will add them to the list. The Amazon Kindle 2 is finally available in Europe and the UK, and we thought it would be good to review the product and offering to see how it compares to the leading ebook readers available in the U.K. The Amazon Kindle 2 is a large improvement from the first generation device released by Amazon, and looks both stylish and usable. 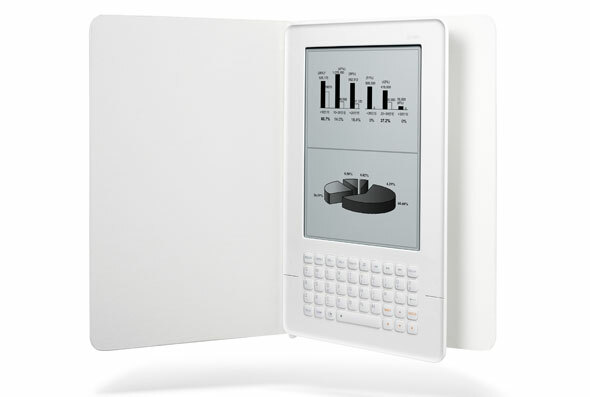 The navigation buttons are intuitive, featuring a 5 way rocker switch and various buttons laid around the screen for page flips. The screen uses the popular Vizplex E-ink display, featuring 16 shades of gray for a clear and crisp letters and graphics. Many ebook readers are limited to 4 or 8 shades, and the 16 levels does give an advantage to the Kindle when it comes to handling graphics, font smoothing and images. The screen refreshes are fast, and similar to the Sony and Bebook devices – This makes for a pleasurable reading experience without having to wait too long for the next page. The Kindle 2 comes with 2 GB of internal storage onboard which should be enough for most user’s needs – But it does not come with an SD card slot for additional storage. This will be an important factor to consider when purchasing your ebook reader, as this means once you have filled this up, you will need to delete books…Plus means you can’t load ebooks from the SD card directly. The device itself is gorgeous, and the ebook reader size is nothing short of amazing considering the features: With a 0.36 inch thick design, this is one of the thinnest ebook readers around. 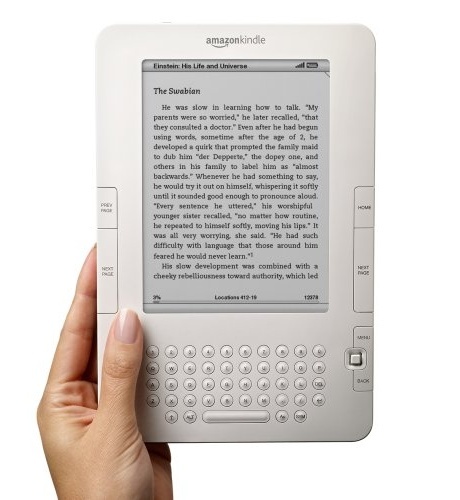 Software wise, the Amazon Kindle features a well built and intuitive user interface thats been improved since the Kindle 1. Functionality wise, you can save notes, search, access the built in dictionary and it all feels pretty well thought out. The new feature the Kindle brings to the table is the text to speach function, which means your Kindle can your books to you literally. This is an interesting feature, you get to pick from either a male or female voice, and you can change the reading speed to suit your taste. The Kindle uses the latest generation text to speech engine, which provides a more natural experience than the built in feature your your mac or PC, but lets just say that the audio book industry is not about to go out of business! The reading is robotic, and if you are like me will revert back to audio books or reading after 30 mins. Another unique feature is the Whispernet 3G connection which comes built into the Kindle, which enables you to access Amazon’s walled garden internet network worldwide (in 100 countries) at no extra cost. This is a bold move by Amazon, and a world first at this scale. Through Whispernet you get access to Wikipedia,the Amazon ebook store, read the first chapter of any book (try before you buy) and access to paid subscription news feeds. You don’t get access to email or the actual internet in the but considering this comes free and its available worldwide makes it an attractive offer. You can therefore buy books wirelessly during your travels, research Wikipedia as you are reading, and keep on top of your favourite news at a low cost per feed – Its just like reading the morning paper, without the bulk or wasted paper. UPDATE: The Kindle now supports PDF format ebooks. Yes you read this right, there is no PDF support or DRM mobi / epub formats, which means you will need to buy your books from the Amazon ebook store only. Alternative ebook readers such as the Sony Touch or the BeBook both enable you to load up pretty much any ebook or document format which make them very versatile. Another think to bear in mind is that at the time of writing, you have to buy your ebooks from the US Amazon Ebook store in US$ – This is not always practical, but can lead to lower ebook prices compared to UK ebooks. Also the Kindle does not come with expandable memory, this is not a major issue as 2GB is a lot of books, but its nice to know you have room to grow with such a device. In all this is a great device, its slim, it looks fantastic, and its a breeze to use. If you are keen on reading your own pdf’s or epub / mobi ebooks or god forbid download ebooks from your favourite pirate site then the Kindle might not be for you (Check out the BeBook One or Sony Touch). For everyone else, the Amazon Kindle is a great device, you get instant access to a wide range of ebooks downloadable without the need for a PC. Plus you can keep in touch with the built in feed reader to read the news as it gets released from participating websites (for a monthly fee per feed). The Amazon Kindle is available from the Amazon store for $259 / £158 – A bargain considering the quality of the device and the wireless access. Go to Amazon.com for more information. 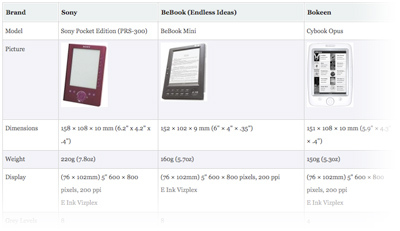 Also check out our comparison table to see how it compares to other 6 inch ebook readers. 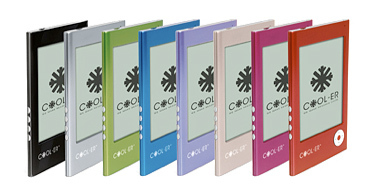 The Cool-er (or Cooler ebook reader if you prefer) is a relatively entry level ebook reader which comes in a range of striking colours similar to the ipod range. 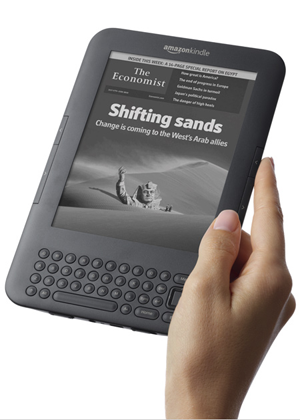 The COOL-ER ebook reader uses the typical Vizplex E-ink display used in other ebook readers and features a 6″ 600 × 800 pixels, 167 ppi screen. 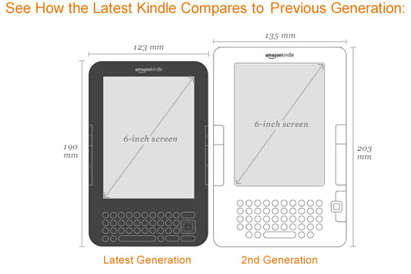 This is comparable to other ebook readers in this range with 4 levels of grey. Although the Cool-er has the same 6-inch screen as say the Kindle 2, it renders text with a proprietary font instead of the print like fonts used by the Sony or Kindle devices. You can flip it the screen 90 degrees to read in landscape mode but you will have to go through the settings as it cannot sense when you are turning the reader. 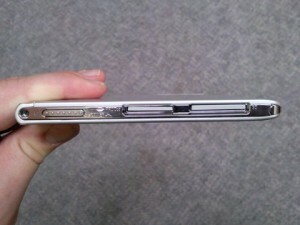 The design and build quality is not as good as some of the more expensive models – For example the Sony Pocket and the Bebook Mini both have more wow factor when it comes to the build quality, but it should make for an ideal device for people looking to save but still be able to read on the move. 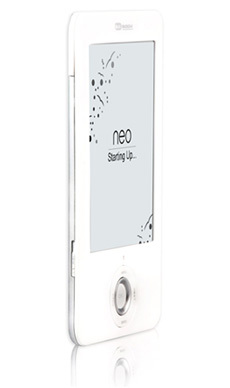 The latest generation Cool-ER ebook reader comes with 1GB of internal memory, and can be extended up to 4 GB through an SD card. In comparison, only the Bebook mini supports SD cards at this price level, the Sony Pocket reader is limited to its internal memory of 512 MB. This is rather good, and means that you are able to store in between 500-800 novels in the internal memory alone. 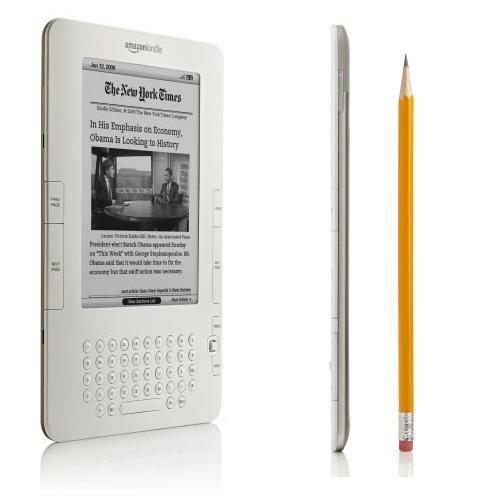 The 6 inch screen is glare free, and features Vizplex E-ink for a nice reading experience just like reading on paper. Thankfully, this screen is un-affected by direct sunlight glare unlike earlier ebook readers so you can read anywhere as long as you have light. 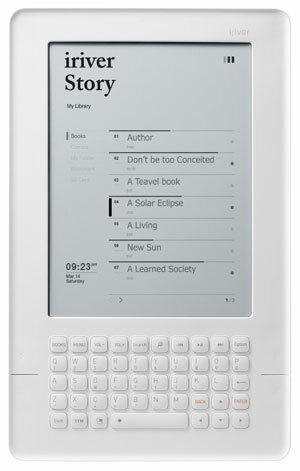 The user interface / device build is a bit problematic, and is where more expensive ebook readers will shine. The big iPod type design and the D-Pad scroll whele interface look and feel clunky and cheap. The D-Pad scrollwheel acts as both a menu selector and a page turner, which doesn’t feel natural as you will only be able to turn pages with either you left or right hand based on the orientation of the device. The onscreen UI works, but isn’t intuitive and you will find yourself going through many menu’s to find your way round. There is no text to speech function, but thats no loss as I’m not a fan of the robotic voice of the text to speech apps available in some of the ebook readers such as the Kindle. But the COOL-ER comes with an MP3 player function which although limited, is quite good for listening to audio books (ie you can’t control the playing, unless you get out of the book…). There is no built in dictionary but bookmarking is thankfully included for easy reading. 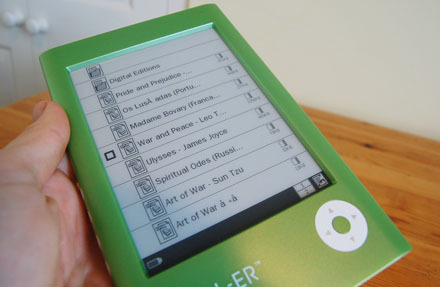 The COOL-ER ebook reader supports a good set of formats including: PDF, EPUB, FB2, RTF, TXT, HTML, PRC, JPG AND MP3. As well as Adobe EPUB/PDF DRM’d ebooks. Which makes it a versatile ebook reader which will accept almost anything (this is not the case with earlier Sony ebook readers or the Amazon Kindle). Ebooks are loaded through the USB cable or SD card, and its a simple process. The ebook reader appears as an extra drive, which works better in Windows than on Macs where it creates additional folders for nothing. The battery life is good, the device is rated for about 7000 page views (Most ebook readers have in between 7000-8500), but the battery meter is not always accurate. This isn’t a big deal, but can mean you might find yourself with drained device out of the blue. There is no auto-sleep function so make sure you switch off the device after using it, although it doesn’t use much juice it will still be draining the battery. The COOL-ER device is available at £189 from Firebox, and it makes for an attractive device at this price point. 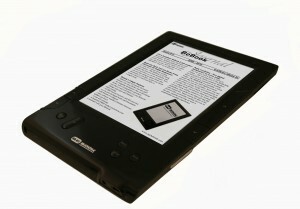 This is an ideal starter ebook reader, or gift for students to encourage them to read more. 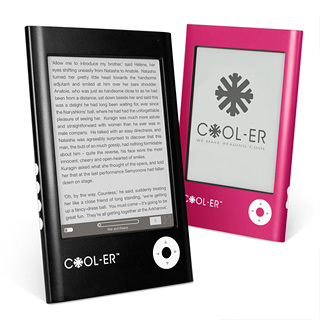 You can find out more, and purchase the COOL-ER ebook reader here. If you are looking for a more feature packed ebook reader, we would recommend the BeBook one which is £10 more expensive but includes a dictionary, and better build quality. Alternatively at a higher pricepoint we suggest the Sony Touch which is also an excellent looking alternative jam packed full of features. Sony have recently released an updated lineup to it’s popular PRS-505 ebook reader which we reviewed last year. 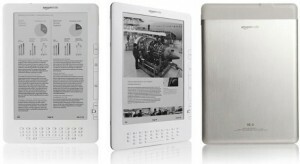 This year they are releasing the Sony Reader Touch Edition PRS-600 and the Sony Reader Pocket Edition PRS-300. Both are looking to compete against different sides of the ebook reader market: Mainly the rise of the sub 5 inch ebook readers, and the new Amazon Kindle 2. 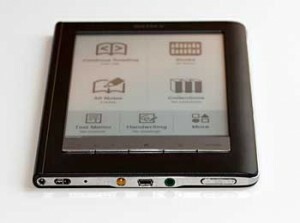 The Sony Reader Touch Edition is the new successor of the old PRS-505 and PRS-700, which adds a touchscreen into the mix. The Pocket edition sports a smaller 5″ screen format which we will review at a later stage. The first thing you will notice once you handle a Sony Touch ebook reader is that it looks really classy – Its an elegant ebook reader which won’t look out of place next to your other accessories. The screen is easy to read, and the contrast has been much improved since the PRS-700 and ebooks look great on this 6″ e-ink Vizplex™ paper-like screen. The touch screen is interesting, unfortunately its a bit slow and doesn’t quite feel natural when interacting with words or the UI. Don’t expect an Iphone like touch interface on this ebook reader! But the touchscreen is useful, and adds to the ease of use of the ebook reader – For example you can flick through pages like on a real book. In terms of capacity, the Sony Touch comes with 500 mb of internal memory which you can store about 350 books with, and you can expand this through an optional MS Duo (up to 16GB) and SD card (up to 16GB) slots for up to 13,000 eBook titles – practically an entire library! The great difference in these new ebook readers is the change of stance from sony with reagards to ebook formats – Beforehand the Sony ebook readers were a bit limited in the book formats supported, not anymore. You can now read eBooks in a choice of file formats: Reader Touch Edition™ supports EPUB (industry standard), PDF, Text, RTF, Word and BBeB. Also displays most common image and photo file types including JPG, PNG, GIF, BMP (in black-and-white). This is a big change and will mean that you can now upload ebooks which are both DRM and non DRM protected to read on the go! 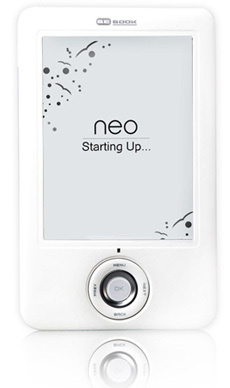 The US version of this ebook reader comes with a 3G connection built in similar to the Amazon Kindle, which has been ommited from the European and UK release, but thats not too much of a problem. Thanks Russ for the clarification, the US version is like the European version, and does not include a 3G card. You can still buy your books from your favourite online book shop such as Waterstones, Borders, and Whsmith in the UK. This is a lighter and more nimble device, and if you are a fan of Sony products, or haven’t yet got your feet wet with an ebook reader device this is a very affordable device, which oozes of quality. Is it the best device out there? Well we still like the Bebook (reviewed earlier) which supports more ebook reader formats. But if you are looking to spend a little more, and like the look of the Sony Reader Touch we definately recommend it too. Click here to find out more. Waterstones have just lowered the price of the silver Sony Touch, get it at £29 less here: Click here to find out more about the promo.